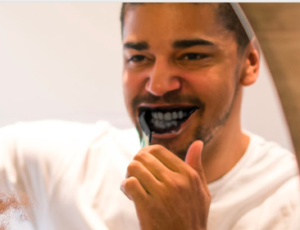 It seems almost contradictory to use a black product to produce whiter teeth, but that’s what My Magic Mud toothpaste does. 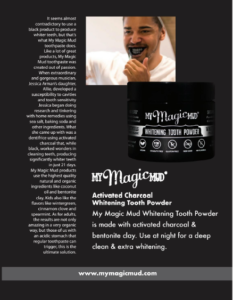 Like a lot of great products, My Magic Mud toothpaste was created out of passion. When extraordinary and gorgeous musician, Jessica Arman’s daughter, Allie, developed a susceptibility to cavities and tooth sensitivity Jessica began doing research and tinkering with home remedies using sea salt, baking soda and other ingredients. 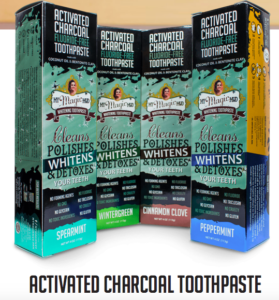 What she came up with was a dentifrice using activated charcoal that, while black, worked wonders in cleaning teeth, producing significantly whiter teeth in just 21 days. 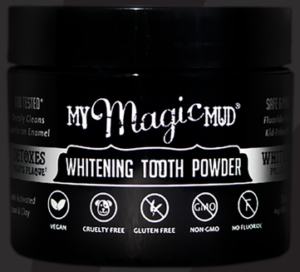 My Magic Mud products use the highest quality natural and organic ingredients like coconut oil and bentonite clay. Kids also like the flavors like wintergreen, cinnamon clove and spearmint. As for adults, the results are not only amazing in a very organic way, but those of us with an acidic stomach that regular toothpaste can trigger, this is the ultimate solution. About the Author of This Article: Adrienne Papp is a recognized journalist, economist and feature writer, who has written for many publications including Savoir; The Westside Today Publications ; such as Beverly Hills 90210; Malibu Beach; Santa Monica Sun; The Beverly Hills Times; Brentwood News; Bel-Air View ; Celebrity Society ; Celeb Staff ; It Magazine; Chic Today; LA2DAY; West Side Today among many others. She is the President and CEO of Los Angeles / New York-based publicity company, Atlantic Publicity and publishing house, Atlantic Publisher. Adrienne writes about world trends, Quantum Physics, entertainment and interviews celebrities, world leaders, inventors, philanthropists and entrepreneurs. 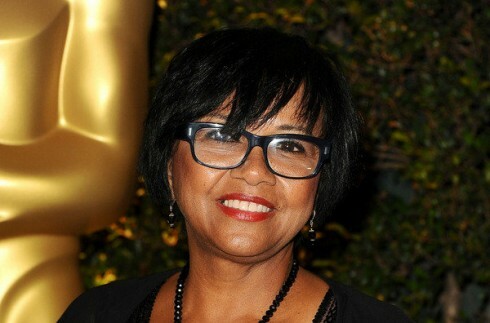 She also owns Atlantic United Films that produces and finances true stories made for theatrical release or the silver screen. 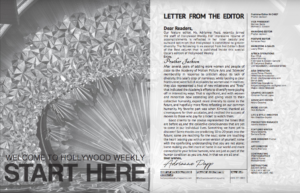 Spotlight News Magazine is owned by Atlantic Publicity that just opened a new extension to it : PublicityLosAngeles. 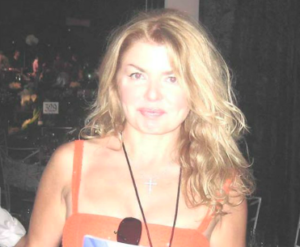 Adrienne Papp is a member of the International Press Academy.She is the Founder, CEO and President of Youthful & Ageless ™, Bringing Information to Billions™, An Honorable Cause™ www.LatestAgeless.com. www.OurMediaVenuesAndCompanies.com, Atlantic Publicity Articles, Latest Ageless, Events Photo Collection, Linked In Profile, Movie Data Base Profile, Twitter, Instagram, Youthful and Ageless Google+, Atlantic Publicity Google+, Atlantic Publisher Google+, Adrienne Papp Google+, Adrienne Papp Personal Google+, Spotlight News Magazine, Atlantic Publicity Productions, Atlantic Altitude, Altitude Pacific, Atlantic Publicity Photography and Filming, About Adrienne Papp What Others Say AtlanticPublicitySEO, BrilliantMarketing365, An Honorable Cause, Academic Research, Knighthood Today, Youthful and Ageless™.